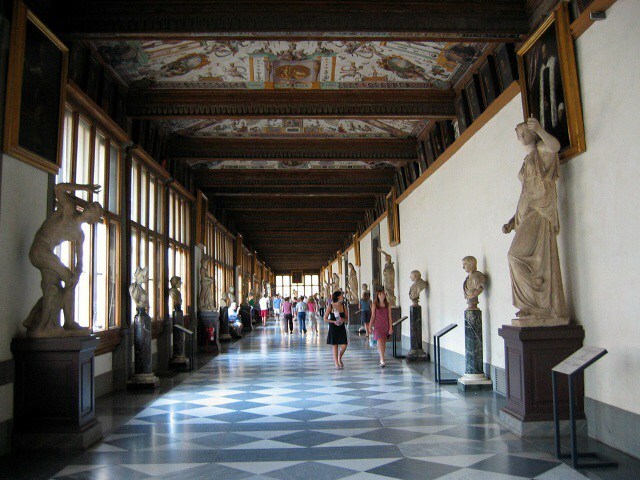 Uffizi Gallery. 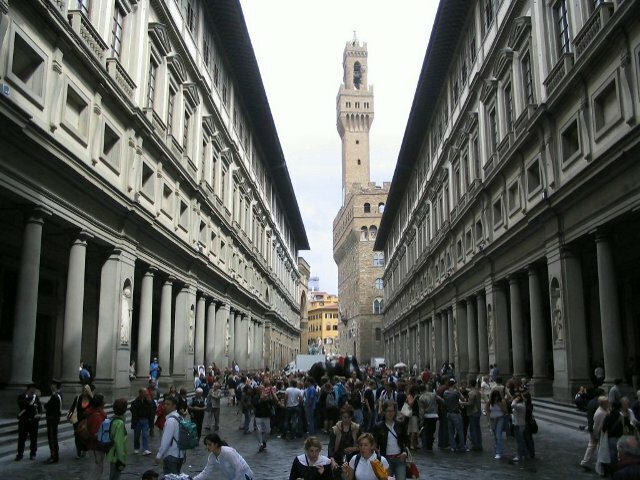 The Uffizi, (1560-1580) wa originally meant to be an Ufficio (office) for magistrates as well as judges, technicians and merchants of Florence, the top floor was turned into a private gallery for the pleasure of the ruling family of Florence, the Medici, and their guests. In addition to paintings, statues, jewelry, scientific instruments, even weapons,were displayed there, which made it one of the most interesting and precious collections in the whole world. Since 1865 it became a museum, nowadays with 50 rooms housing paintings ranging from the 13th century to the 18th century. The highlights are the famous “Madonna enthroned” by Giotto, the “Battle of San Romano” by Paolo Uccello, the double portrait by Piero della Francesca, “Federico da Montefeltro”, the “Birth of Venus” by Botticelli , in addition to three works by Leonardo, one by Michelangelo, a few by Raffaello and many by Tiziano. All paintings have been displayed chronologically, so it is possible to fully appreciated all the innovations in art throughout the centuries. We remind the visitors to follow some basic rules of good conduct (hover over "Tips for groups" below, to view) and we remind guides that the groups cannot exceed 25 members. 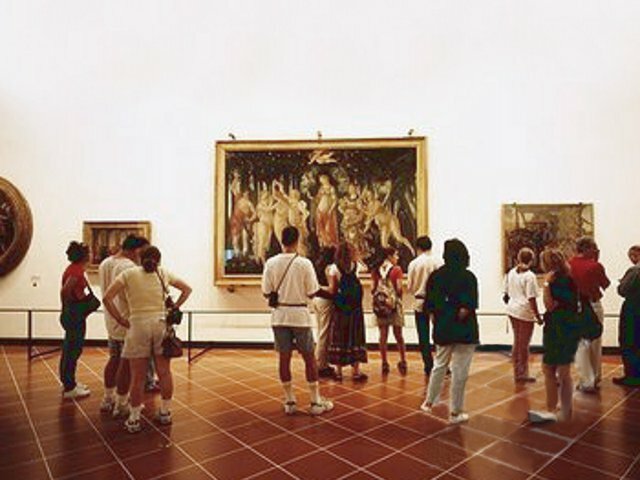 Given the extent of our visitorship, the Uffizi Gallery kindly requests you assist your group in following the basic rules of good conduct, which in turn will help to contribute towards making the visit a more pleasurable experience for all.